Since 2013, Matthias Zeppelzauer and Markus Seidl, both from the Institute of Creative\Media/Technologies, together with researchers of the TU Graz and Wien have been working on the research project ‘Pitoti 3D’. 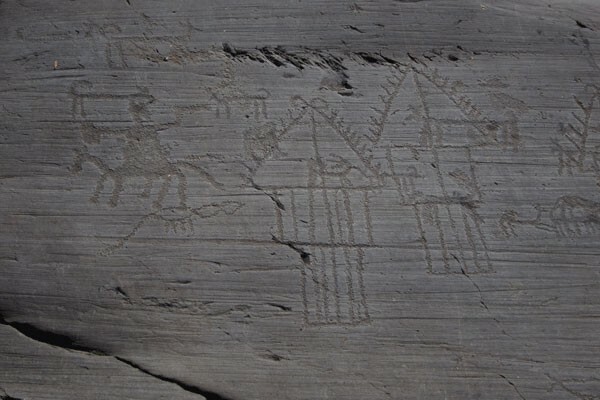 The project serves the research and digital archiving of prehistoric rock art. 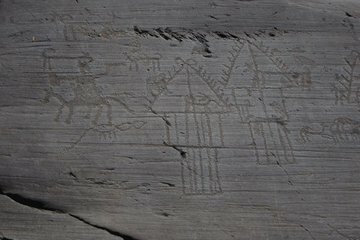 It is aimed at making the so far undervalued pieces of arts in the form of over 50 000 petroglyphs in the Italian valley of Valcamonica accessible to people. This precious part of European Cultural Heritage is not easy to research due to its hard accessible hillside location or mountain flora but provides a deep insight into our past. Now, Matthias Zeppelzauer and Markus Seidl were able to prove successful again. Their paper on the research project ‘Pitoti 3D’ was nominated Best Paper by the jury of the Digital Heritage Conference in Spain. At the beginning of October the Digital Heritage Conference took place at the World Heritage Site Alhambra in Spanish Granada. Here, the team around Zeppelzauer and Seidl held its half-hour presentation at Parque de las Ciencias. The Digital Heritage Conference is an international forum for the spread and exchange of pioneering scientific findings of digital heritage. Next to key notes and poster presentations, workshops, tutorials and discussions were part of the programme. Due to its nomination of Best Paper the project team was invited to contribute in the renowned ACM Journal on Computing and Cultural Heritage. The journal publishes papers of high quality and of long-term use for the research of World Cultural Heritage. The revision of the paper is planned until the end of 2015.